Putting an end to all leaks and rumours, Google has finally unveiled its first branded smartphone – the Google Pixel. 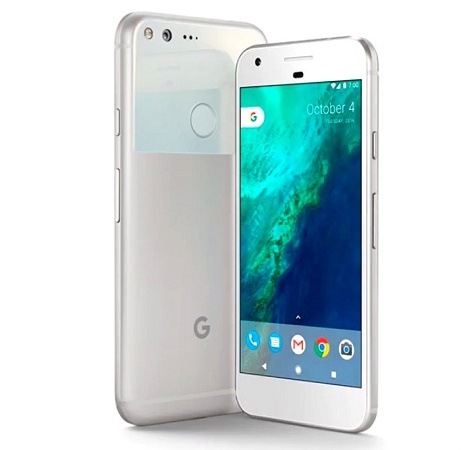 Google has announced the launch of the Google Pixel and the Google Pixel XL, which are the company’s first branded smartphones manufactured by HTC. The handsets flaunt a compact design with a glass back and a fingerprint scanner on the back. The Google Pixel has a 5 inch full HD AMOLED display whereas the Google Pixel XL has a 5.5 inch Quad HD AMOLED display. Both the smartphones are powered by the quad core Qualcomm Snapdragon 821 processor with 4 GB of RAM and 32 GB of internal storage and unlimited cloud storage. The Google Pixel and the Google Pixel XL have an improved 12 MP rear facing auto focus camera with 1.55um pixel, f/2.0 aperture, OIS and LED flash. There is also a front facing 8 MP camera. The devices run on the latest Android Nougat version. The phone has dual SIM support with 4G LTE connectivity. The handsets are priced starting at $649 (approx. Rs. 43000) and are available in Quite Black, Very Silver and limited edition (U.S. only) Really Blue colour options.